The days of plummeting gasoline prices are over in the United States, at least for the time being. Thanks to a rebound in the price of oil over the past couple of weeks, gasoline prices have halted their descent and are now moving higher. 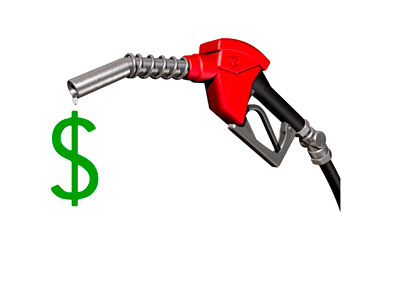 According to AAA, the average price of a regular gallon of gasoline in the United States this past weekend was $2.18/gallon, up 12 cents from the week before. Oil prices also rose over the same time period, driven by speculators and optimism that decreased investment will eventually result in higher prices. Gasoline prices are still much lower than they were at this time last year. In February of 2014, the national average for a gallon of regular gasoline was $3.27/gallon, which is a dollar more than the prices we are seeing right now. Idaho is currently paying the least for a gallon of regular gasoline ($1.877) while residents of Hawaii are paying the most ($3.039). Of the major cities in the United States, residents of Salt Lake City, Utah are paying the least for a gallon of regular gasoline ($1.834) while those living in Honolulu are paying the most (nearly $3 a gallon). The general consensus amongst analysts and market observers seems to be that the recent spike in oil is a short-term blip and that prices will soon be heading lower. Citi, for instance, believes that oil could fall to as low as $20/barrel thanks, in large part, to the greatly diminished influence of OPEC. So, if you believe the analysts, gasoline prices should remain low for an extended period of time.